Summer in the Philippines is very hot and being a tropical country we are blessed with tropical fruits one of this is the pineapple and orange- both has an exceptional juiciness in it that makes it perfect for this tropical shake. 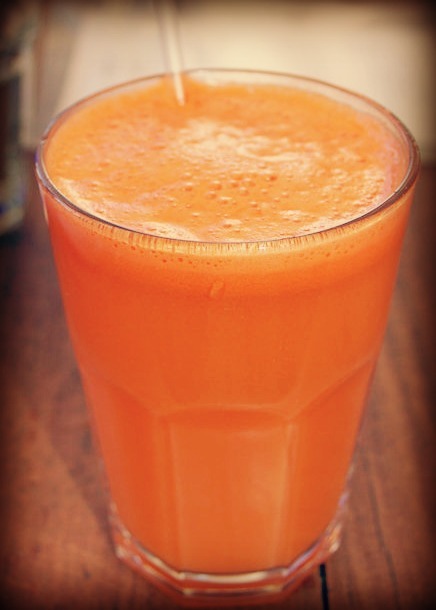 Put the pineapple juice, orange juice and carrot juice in a blender or food processor. Add the crushed ice and process for 5 seconds. Make 1 glass.